I haven’t done a natural history essay for a while. Paying attention to the plants, animals, and agricultural processes of the Bible is worthwhile because knowing more about them enhances our understanding of the context in which the particular verse is delivered to us. I’ve written of other natural history topics previously, and the links are below, if you’re interested. You can find House Sparrows most places where there are houses (or other buildings), and few places where there aren’t. Along with two other introduced species, the European Starling and the Rock Pigeon, these are some of our most common birds. Their constant presence outside our doors makes them easy to overlook. 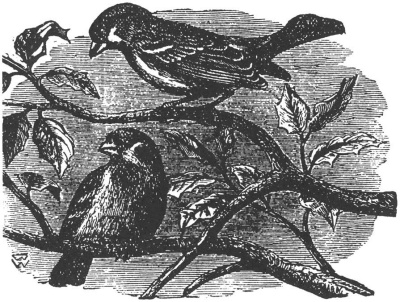 Greek strouthion, (stroo-thee’-on); diminutive of strouthos, (a sparrow); a little sparrow. Sparrows are mentioned among the offerings made by poor. Two sparrows were sold for a farthing, and five for two farthings (Luke 12:6). The Hebrew word thus rendered is tsippor, which properly denotes the whole family of small birds that feed on grain (Leviticus 14:4; Psalms 84:3; 102:7). The word tsippor has been already dealt with in most of the passages where it occurs, in which it is translated ‘bird’ or ‘fowl.’ In two passages in the Psalms, however, it is rendered ‘sparrow,’ and the term appears perhaps to refer to a particular species. Elsewhere it is generic. In Ps. 84:3 we read, ‘The sparrow hath found an house, and the swallow a nest for herself, where she may lay her young, even Thine altars, O Lord of Hosts, my King, and my God.’ Here the metaphor is one of rejoicing; and the Psalmist pours forth his heart in glad and beautiful verse, full of the hope that he too may be permitted to dwell in the house of his God. Canon Tristram considers that the latter ‘sparrow’ may be the ‘blue thrush’ (Monticola cyanus), which is a common and conspicuous bird in Palestine and Southern Europe, solitary in its habits, and fond of sitting on a roof or any conspicuous eminence while uttering a plaintive cry. It breeds in the ruins about the temple at Jerusalem. 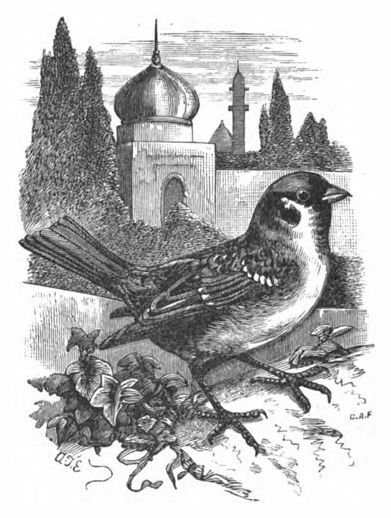 Other species of sparrow are found in the Jordan Valley, as the marsh sparrow (P. Hispaniolensis) and the Moabitish sparrow of Tristram (P. Moabiticus). Hart, H. C. (1888). The Animals Mentioned in the Bible (p. 203). London: The Religious Tract Society. It was common in the Middle East to catch sparrows (and most small birds) and skin them and roast them to sell for a tidbit. Thus we have the mention of them where the Lord says He notices each and every fall of the sparrow and thus we should be comforted because we are much more valuable than these small, commonly sold tidbit birds. What a gracious and loving God!